7th February 2019, London: The London Expo 2019 is going to celebrate on 29 – 30th May 2019. The London Expo is a Premier Event for international trade fairs dedicated to the fashion, textiles and garments industries. 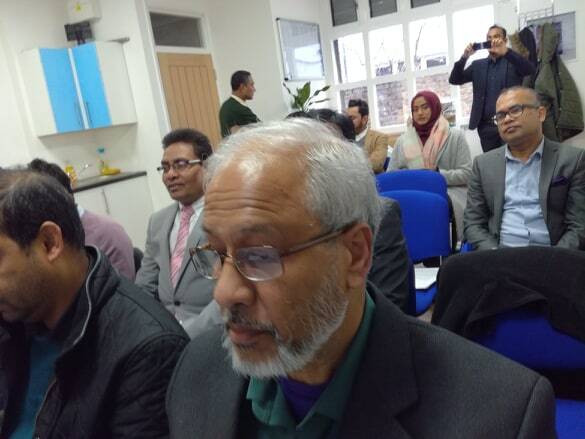 A press conference was organised by e-Fashion UKBD Ltd at the London-Bangla Press Club office in East London to announce their second round of the special event on 07th February. The second edition will happen at THE CONGRESS CENTRE, just 3 minutes away from Tottenham Court Road underground station, right in the heart of London. At this Expo visitors will have an opportunity to see the newest developments and products of large and medium scale manufacturers from biggest textile markets, such as India, Bangladesh, China, Indonesia and others. Global apparel manufacturing markets are still displaying great dynamism and rapid change in technology and in the wake of Brexit, shifting regulations. These go hand in hand with promising opportunities. The London Expo strives to build a strong network of national buyers and international suppliers. Their mission is to connect the best international manufacturers with booming UK fashion industry. A Fashion Show will span across both days of the trade fair. The event will be showcasing young London designers to give them an opportunity to show their amazing work to the professional public and influence upcoming fashion trends. Alongside, visitors can expect trade fair exhibitors to show their collections on the catwalk as well. The London Expo will also provide a comprehensive seminar tract lead by acclaimed industry and government experts covering topics from the Brexit Effect on International Manufacturing Markets, to Fashion Psychology, How To Start Your Fashion Label, and much more. First edition of ‘The London Expo’ took place on 4-5th May 2018 at ‘etc. venues’ in Central London Bishopsgate.